Spec Racer Ford. These are generally available used or new for not much more than the cost of a used or new Spec Miata. Gen III SRFs are faster than SMs and have a completely different look. In many parts of the country, car count is high and the spec element plus a drafting-oriented car keep racing tight. There is good trackside support available. 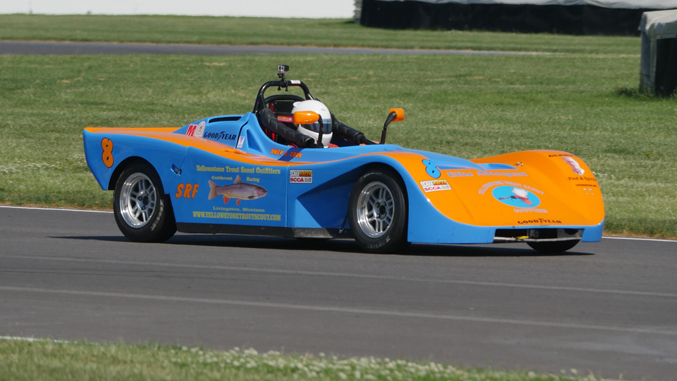 Primarily an SCCA and SVRA car. Spec Boxster. Building a car will cost probably 20% more than building an SM (new SPB build should be about $45,000). Fewer used cars are available, so used prices will also be higher, generally. Run costs are also likely to be a bit higher. But, Spec Boxster are noticeably faster than Spec Miatas, and if you love Porsches, this or Spec 944 is the cost-effective way to go racing. 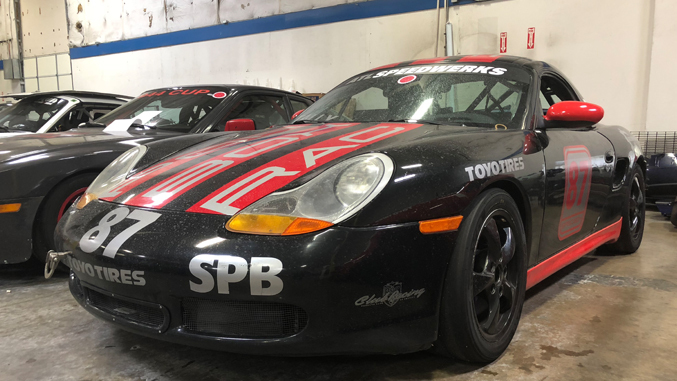 PCA is the prime sanctioning body, but Spec Boxster can also run in NASA and SCCA. American Iron/T2. For perhaps $10k more than a Spec Miata, you can buy or build an American Iron car. Typically, these are Mustangs, but GM and Chrysler platforms are seen from time to time. 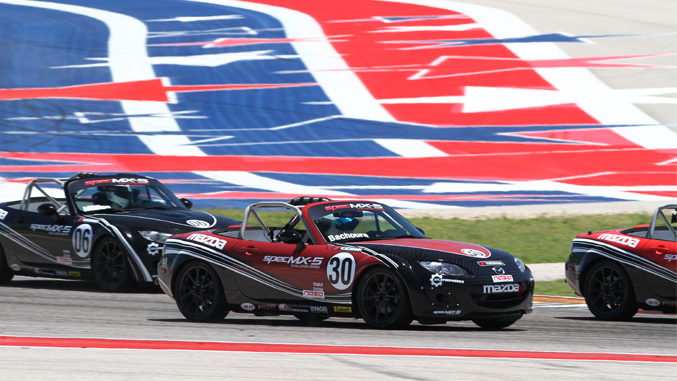 The advantage of these classes is that power:weight is about twice what it is for Spec Miata, and lap times are lower. Specifications are somewhat different for NASA and SCCA, so it is harder to run the same car competitively with both sanctioning bodies (whereas SM is essentially the same for both NASA and SCCA). Super Touring 3. ST3 is a NASA class that works off power:weight ratios, not specific cars. We normally don't recommend "builder" classes as an ideal alternative to a spec class, but in this case ST3 has a common car that some people might like, which is the C5 Corvette. The ST3 Corvette is a pretty well established build, so you could follow this well-trodden path and not be too far off the pace. The ST3 Corvette also involves relatively few modifications to the street car, so a build shouldn't cost much more than an SM build would (the used market for ST3 cars will not be as easy to access, however). Spec MX-5. If you are almost okay with SM, but just want something faster and different, Spec MX-5 is an interesting alternative. SMX only runs as an arrive and drive series, and the series owns the cars, so you don't have the capital outlay of buying the car nor the time needed to build a car. Drivers also seem to love the car for some interesting reasons. Also, Spec MX-5 Challenge has significant prize money ($100,000 for the championship), which could help if you think you want to build a driving career. Of course, there are many other choices, but those above are the more popular choices while retaining some diversity of cars and sanctioning bodies. 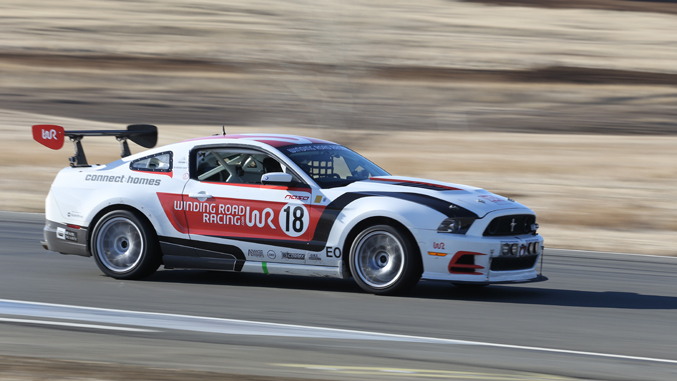 To discuss a custom race car build, visit our race car build page on Winding Road Racing. To shop for used race cars, check out Winding Road Showroom.